Eighty-four percent of infection-related newborn deaths could be averted at a cost of just 9 cents for each life saved. Imagine, less than a dime — that’s the cost to make available basic preventive measures, according to professor Zulfiqar Bhutta and colleagues in The Lancet. These measures include clean birthing and clean postnatal practices, such as handwashing with soap, which has been shown to prevent nearly 40 percent of neonatal deaths. But reality is the uphill battle that midwives fight daily. I met one midwife in rural Zambia, where she works hard to gain the trust of women in her community and make her clinic a welcoming place. When women in such communities give birth in a health clinic, they are more likely to survive. But when we talked about what stands the way of her gaining trust, the midwife had a simple answer — water. The lack of clean water at her clinic means staff who should be caring for patients are forced to make long trips to a well to get water for drinking and cleaning. It means some women who have a reliable water supply at home may feel safer giving birth there. It also means that there are times when the midwife has to choose between leaving a woman in late stages of labor to get water, or delivering a baby without first washing her hands. That kind of choice forces healthcare workers into an impossible position. Common infections, which are easily prevented by handwashing, put patients at grave risk at the same time that midwives must attend to other patients requiring urgent care. “Worldwide, sepsis is one of the most common deadly diseases,” says Dr. Reinhart. The Global Sepsis Alliance reports 31 million cases of sepsis every year, resulting in 6 million to 9 million deaths. Sepsis is the body’s reaction to an infection, and it can lead to organ failure, damage and death. It can be caused by relatively common infections, such as a skin or urinary tract infection, with healthcare-associated infections a common cause of sepsis. But at highest risk are, of course, vulnerable newborns and mothers in low- and middle-income countries where sepsis accounts for 15 percent of all neonatal deaths and 11 percent of maternal mortality. All healthcare facilities need to have soap and water readily available for staff, patients, and visitors, but a 2018 study of data from 129,000 healthcare facilities in 78 low- and middle-income countries found it startlingly absent. Only 44 percent of healthcare facilities surveyed had both soap and piped water. Fifty percent of healthcare facilities lacked piped water, 33 percent lacked basic toilets, and 39 percent lacked soap for handwashing. In developing countries, nearly one in six patients contracts an infection during hospitalization. Preventing infections requires the availability of soap, water and sanitation, and consistent and correct hand hygiene. That includes the United States. Across the world, more than 60 percent of health workers do not adhere to proper hand hygiene. According to the Centers for Disease Control and Prevention, U.S. healthcare providers, on average, wash their hands less than half of the time they should. On any given day, one in 25 U.S. hospital patients has at least one healthcare-associated infection. Prevention is cost-effective and Congress agrees on many issues of water and global health. The U.S. government has an important role, with the Water for the World Act of 2014, and the 2017 U.S. Global Water Strategy, which organizes 17 U.S. federal agencies with various roles in water policy. Through its 2013–2018 Water and Development Strategy, USAID is taking action to improve sanitation and hygiene in health facilities in many countries. Importantly, the agency recognizes that “the expansion and improvement” of water, sanitation, and hygiene programming overall is critical to improving its efforts on maternal and child survival. 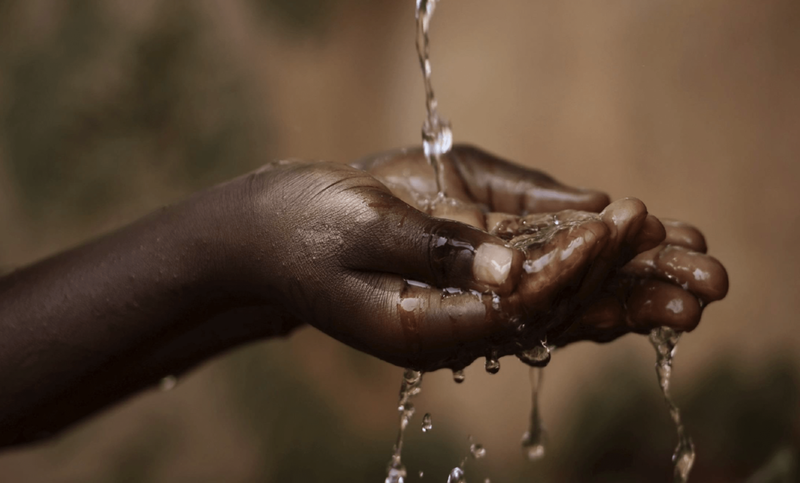 Let’s work to meet the U.N. Secretary General’s recent call to action for the global community to achieve universal access to water, sanitation, and hygiene in all healthcare facilities by 2030. Governments and donors are starting to fall in line, and countries that have implemented programs such as sepsis prevention — which include water, sanitation, and hygiene — have seen dramatic increases in newborn survival. The article above was written by Carolyn Moore, secretariat director of the Global Handwashing Partnership, an international coalition of organizations working to promote handwashing as key to health and development, and is shared here with her explicit consent. The views in the article do not necessarily represent those of the Global Sepsis Alliance. They are not intended or implied to be a substitute for professional medical advice.